CLEAN is an Earth Science Information Partners (ESIP) Federation cluster. ESIP is an open, networked community that brings together science, data and information technology practitioners. 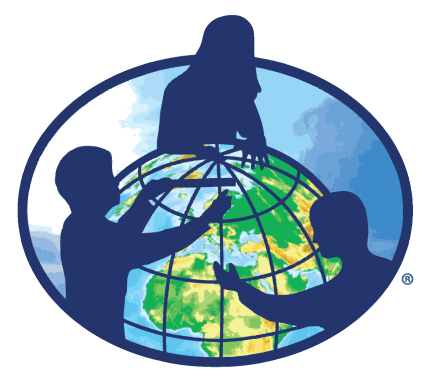 Alliance for Climate Education (ACE) is the national leader in high school climate science education. An award-winning national nonprofit dedicated to educating youth on the science of climate change and empower them to take action, with the goal of shifting national discourse on climate in ways that are proven to affect public opinion and policy—while having fun along the way. Advancing Climate Literacy through Investment in In-Service and Pre-Service Science Educators (ACLIPSE) This university course, and associated grades 6-12 teacher PD opportunities were developed by the Lawrence Hall of Science at University of California, Berkeley, Rutgers University, and Padilla Bay NERR with funding from NOAA. 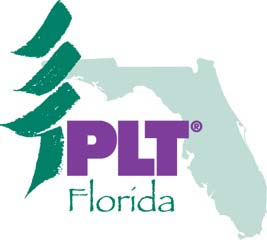 The course, curriculum and teacher PD use climate science as the context for teaching about and applying current teaching and learning research, as well as how to use real and near-real time data in the classroom in authentic and locally relevant ways to build pre- and in-service teachers', as well as their students' data skills. Additionally, the course and materials support understanding of three-dimensional instruction as called for in A Framework for K-12 Science Education and the Next Generation Science Standards. ACLIPSE course materials are available for download at http://mare.lawrencehallofscience.org/. American Meteorological Society (AMS) Education Programs Professional development programs with tuition free graduate credit and resources for K-12 educators as well as curriculum packages for faculty and students at undergraduate institutions. AMS provides educator instruction, course materials, in-classroom resources, and specialized training in weather, ocean, and climate sciences. Arctic and Earth SIGNs (STEM Integration of GLOBE and NASA) A program that explores the impacts and feedbacks of a warming Arctic and making a difference on a climate change issue important to one's community, by training pre- and in-service teachers, youth leaders such as 4-H leaders, and community members on climate change concepts, culturally-responsive curriculum, braiding multiple ways of knowing and environmental observation/measurement protocols in face-to-face and online courses. Bay Area Climate Literacy and Impact Collective (BayCLIC) A consortium of over thirty environmental education institutions including parks, zoos, aquariums, museums, energy efficiency nonprofits, local government agencies working in partnership to make the San Francisco Bay Area the leader in climate education and action. BayCLIC is based off of the collective impact model, and works to collaboratively address the most pressing climate education needs of informal educators in the region and provide targeted resources for this community. Climate Change Education Partnership (CCEP) Alliance promotes productive and hopeful conversations about climate change. ClimateChangeLIVE: A Distance Learning Adventure provides teachers and students with informative and interactive ways to learn about climate change. Climate Classroom Kids.org A carefully designed website with lesson plans and activities designed around animals simple concepts to focus younger children on climate solutions without burdening them with frightening or heavy material. The Federation was commissioned to develop the education program for the Emmy Award-winning climate documentary series Years of Living Dangerously. Climate Education in an Age of Media (CAM) promotes using student video production projects to both engage students with 21st century literacy skills and develop their understanding of scientific concepts, as they learn by "teaching" others through media pieces. Climate Education Partners (CEP) An interdisciplinary collaboration among professors, scientists, researchers, educators, communications professionals, and community leaders concerned about the impacts that changes in climate could have on the quality of life in the San Diego, CA region. Science Center Public Forums: Community Engagement for Environmental Literacy, Improved Resilience, and Decision-Making A set of forums hosted by regional science centers to facilitate public deliberation on real-world climate change issues of concern to local communities. The forum materials were developed in collaboration with NOAA in order to foster better understanding of environmental changes and best practices for improving community resiliency. With regional science centers bringing together the public, scientific experts, and local officials, the project will create resilience-centered partnerships and a framework for learning and engagement that can be replicated nationwide. Climate Generation: A Will Steger Legacy empowers individuals and their communities to engage in solutions to climate change. Based in Minneapolis, MN, Climate Generation is a nationally connected and trusted nonprofit dedicated to climate literacy, climate change education, youth leadership and citizen engagement for innovative climate change solutions. Climate Interactive is a not-for-profit organization based in Washington DC. Our team helps people see what works to address climate change and related issues like energy, water, food, and disaster risk reduction. 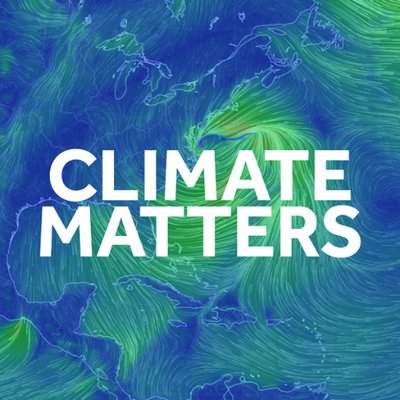 Climate Matters A comprehensive climate change resource created by Climate Central to aid broadcast meteorologists in presenting engaging and accurate climate information in clear, concise and relevant ways. ClimaTeens ClimaTeens is a program based on a positive vision of youth as change agents with capacity to engage many other people in efforts to prevent harmful impacts from climate change. The program was developed by the New England Aquarium in partnership with Greenovate Boston, the Center for Teen Empowerment, and the Alliance for Climate Education. Participating teens meet during the school year, twice a month, to explore issues related to climate change and to develop their understanding along with skills and confidence to foster constructive dialogue with friends, family, school clubs, and business and civic leaders. The project goals focus mainly on outcomes for participating teens, including increased understanding of climate change science, increased confidence in presenting information about climate change to varied audiences, and increased ability and willingness to create change at the community level. After three pilot years, more than 130 teens have participated and they have made 21 presentations for a range of audiences, in addition to many independent conversations. The Program Evaluation Research Group is conducting ongoing formative evaluation and has found positive indicators of learning, growing confidence and positive audience responses to presentations. Connect4Climate: It Takes Everyone to Make a Difference is a global partnership program launched by the World Bank Group and the Italian Ministry of Environment, joined by the German Federal Ministry for Economic Cooperation and Development, that takes on climate change by promoting solutions and empowering people to act. The Connect4Climate community connects more than 460 partners around the world including civil society groups, media networks, international organizations, academic institutions, youth groups, and the private sector. Connect4Climate interacts with a global audience of more than a million individuals who participate on Connect4Climate's social media channels, including Facebook, Twitter, Vimeo, YouTube, Flickr, LinkedIn, and Instagram. 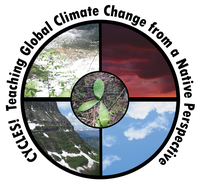 CYCLES:Teachers Discovering Climate Change from a Native Perspective CYCLES addresses the need for Global Climate Change Education (GCCE) with a focus on Native perspectives. CYCLES is a three-year innovative professional development program for teachers (grades 5-12) focused on teaching climate change science that is native friendly, place-based, holistic and interdisciplinary, technologically rich, and incorporates NASA data, models, and simulations. 'CYCLES' reflects the similarities between Native American and scientific explanations of the natural world as interconnected processes that are cyclical. In native culture, the medicine wheel symbolizes the interconnectedness of the earth, air, water, and fire. This is recognized in science through an Earth Systems approach based on the interconnectedness of the geosphere, atmosphere, hydrosphere, and biosphere, with the energy flow of these systems derived from the "fire" of the Sun and the interior of the Earth. EarthLabs Earth and Environmental science courses haven't always been taught as high-level science courses. The "Big 3" science classes—biology, chemistry, and physics—all have something interesting to offer, but they never pull it all together into a picture as big as our planet. Earth and Environmental science classes are about the real world. 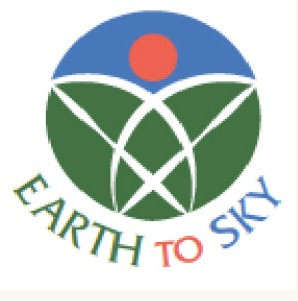 The goal of the EarthLabs project was to provide engaging and rigorous laboratory modules that comprises the laboratory component of a capstone Earth science class.. The project which resulted in 9 modules that were funded through grants from the National Oceanic and Atmospheric Administration (NOAA), that National Aeronautics and Space Administration (NASA) and the National Science Foundation (NSF). Earth to Sky An interagency partnership of the NASA, the National Park Service, and the National Fish and Wildlife Foundation that brings together interpreters, educators and scientists to learn and share science and communication techniques for use in refuges, parks and other sites of place-based climate education. Environmental Issues Forums An initiative of NAAEE and the Kettering Foundation, EIF provides tools, training, and support for engaging adults and students in locally sponsored public forums about controversial issues that affect the environment and communities, with the goal of convening people of diverse views and experiences to seek a shared understanding of problems and to search for common ground for action. Forums are led by trained moderators, and use an issue discussion guide that frames the issue by presenting the overall problem and then multiple approaches to the problem. Forum participants work through the issue by considering each approach; examining what appeals to them or concerns them, and also what the costs, consequences, and trade-offs may be that would be incurred in following that approach. 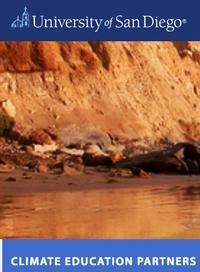 Environmental issues guides, moderator resources, and EIF in the Classroom teacher guides are all available for download. Global Climate Change: Vital Signs of the Planet provides the public with accurate and timely news and information about Earth's changing climate, along with current data and visualizations, presented from the unique perspective of NASA, the world's leading climate research agency. The Global Learning and Observations to Benefit the Environment (GLOBE) Program is an international science and education program that provides students and the public worldwide with the opportunity to participate in data collection and the scientific process, and contribute meaningfully to our understanding of the Earth system and global environment. Announced by the U.S. Government on Earth Day in 1994, GLOBE launched its worldwide implementation in 1995. The National Wildlife Federation has a working relationship with the GLOBE program administered by the University Corporation for Atmospheric Research funded by NASA to improve the earth monitoring science and protocols of the Eco Schools USA program and help some of America's 20,000 GLOBE schools to enroll in Eco Schools. Green Schools Alliance Our mission is to connect and empower schools worldwide to lead the transformation to a sustainable future. Our community represents more than 8,800 schools, districts, and organizations from 46 U.S. States and 82 countries. Hundreds of principals and superintendents have set the stage for meaningful change by making leadership commitments affecting nearly 8,000 schools and 5+ million students. We foster communication and interdepartmental learning so sustainability is part of a school's organizational culture. We encourage healthy systems, active design, and progressive efficiencies in the school's physical place. We cultivate charismatic leadership, connection to place, and student-powered action to elevate a school's educational program.Supporters of sustainable communities connect through the Alliance to remove barriers and create the norm for collaborative work. The National Center for Science Education (NCSE) is a not-for-profit, membership organization providing information and resources for schools, parents, and concerned citizens working to keep evolution and climate science in public school science education. We educate the press and public about the scientific and educational aspects of controversies surrounding the teaching of evolution and climate change, and supply needed information and advice to defend good science education at local, state, and national levels. 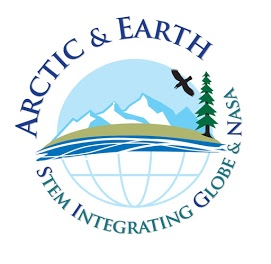 NASA Earth Systems, Technology, and Energy Education for MUREP (NASA ESTEEM) is a competitive project that promotes climate and Earth system science literacy and seeks to increase the access of underrepresented minority groups to science careers and educational opportunities. National Wildlife Federation's Eco Schools USA The Federation supports energy and climate change education in 5,000 K-12 schools across the U.S. through the Eco Schools USA program. An NWF Eco-School helps its students learn and practice sustainability skills such as energy and, water conservation, climate mitigation, nature and wildlife, sustainable food, gardening, and recycling. Greening the school building and the grounds offers an outstanding laboratory for hands-on learning including science and technology education and durable climate literacy. The program has currently involves 2.6 million students and 110,000 educators. The climate and energy pathways are major features of Eco Schools. The Eco School program is part of an International network of 50,000 green schools in more than 60 nations worldwide. The Federation is the exclusive United States operator of this program. 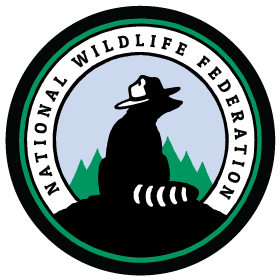 National Wildlife Federation's Work Force Preparation A collaborative effort by the National Wildlife Federation and Jobs for the Future to strengthen the capacity of community colleges to help nontraditional students enter the job market with marketable sustainability skills. It has worked with more than 120 community colleges nationwide to develop incorporate sustainability skills for a lower carbon economy in their course offerings. In addition to supporting community colleges greening their overall curricula, the Federation developed a set of curricula resources to support STEM education through the lens of climate change. National Wildlife Federation's EcoLeaders Program The Federation supports a a network of more that 500 campuses committed becoming greener and more sustainable including lowering their carbon and greenhouse gas footprints. The Federation has embarked on an effort to support the acceleration of the greening of the nation's high school and community college career and technical (CTE) education programs. Pacific Islands Climate Change Education Partnership (PCEP) is a collaborative network of over 60 partners working together toward a new vision of climate education exemplifies modern science and local ecological knowledge, while addressing the urgency of climate impacts in the Pacific region. We serve the U.S.-affiliated Pacific islands, including Hawaiʻi, American Sāmoa, Guam, the Commonwealth of the Northern Mariana Islands, the Republic of the Marshall Islands, the Federated States of Micronesia (Yap, Chuuk, Kosrae, Pohnpei), and the Republic of Palau. 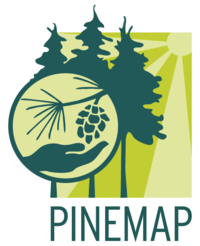 Pine Integrated Network:Education, Mitigation, and Adaptation Project (PINEMAP) A regional initiative to integrate research, extension, and education to enable southern pine landowners to manage forests to increase carbon sequestration and efficiency of nitrogen and other fertilizer inputs and adapt forest management approaches to increase forest resilience and sustainability through climate changes. They also offer resources and programs to educate high school students and teachers as well as university students about the relevance of forests, forest management, and climate impacts. 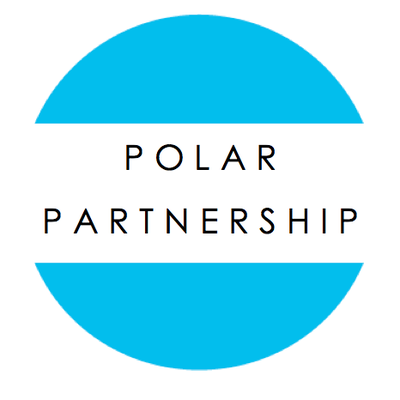 Polar Learning and Responding Climate Change Education Partnership (PoLAR) An interdisciplinary collaboration that includes experts in polar climate science, formal and informal education, learning theory, game design, and climate change communication that develops interactive and game-like educational approaches focusing on the changing polar regions for lifelong learners. The Presidents Climate Leadership Commitments Bold commitments by leaders in the higher education sector yield big changes at the institution that those leaders manage, in the sector at large, and beyond. These commitments require strong leadership, tangible outcomes, and the ability to track progress. 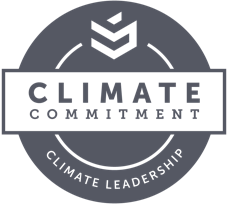 Higher Education presidents and chancellors can join the Climate Leadership Network by signing either the Carbon or the Resilience Commitment, or the integrated Climate Commitment. An institution can transition to the Climate Commitment at any time. Between October 5,2015 and April 22, 2016, 91 institutions became Charter Signatories of the Climate Commitment. See a full list of the Charter Signatories. To see all signatories, view our Climate Leadership Network Map. Southeastern Forests and Climate Change A module for high school biology, agriculture, and environmental science teachers to help students explore the effects of climate change on forests, the effects of forests on climate, and the ways people address these challenges. This is one of the secondary resources offered by Project Learning Tree. Evaluation indicates that students' knowledge and sense of hope was increased after using 5 activities. Teacher-Friendly Guide to Climate Change The Teacher-Friendly Guide™ to Climate Change is the newest addition to the Paleontological Research Institution's Teacher-Friendly series. This book includes both the basics of climate change science and perspectives on teaching a subject that has become socially and politically polarized. The focus audience is high school Earth science and environmental science teachers, and it is written with an eye toward the kind of information and graphics that a secondary school teacher might need in the classroom. Print copies and a free PDF version are available in the PRI store. A consortium of informal science education institutions (ISEIs) – Aquarium of the Pacific, National Aquarium in Baltimore, New England Aquarium, and Seattle Aquarium — began the Visualizing Change project in 2013 with funding from NOAA. After 3 years of iterative development and testing, they launched the website www.vischange.org, where four "visual narratives" are available that educators may access to learn and present information about sea level rise, ocean acidification, extreme weather and the climate-ocean connection. Each "visual narrative" includes scripts, images to use, background information about social science and relevant ocean and climate science. The project team has presented day-long workshops and online trainings for more than 200 education colleagues from over 120 organizations to help educators make use of the toolkit and materials. 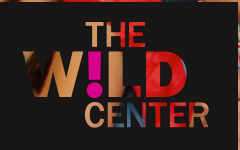 The Wild Center's Youth Climate Program, a full-year program with outreach, educational and leadership opportunities for student participants of the annual Adirondack Youth Climate Summit, which has led to financial savings and shifts in mindsets across Adirondack Park. The Youth Climate Summit convenes high school and college students on climate change science, impacts, and solutions. The core component is a student driven climate action plan that provides a solutions based framework for students to implement in their schools and communities. The summit model has been successfully replicated and scaled by other informal science institutions, schools, NGOs, and community groups through the youth climate summit toolkit. To date summits have been held in multiple regions of New York State, Michigan, Washington, Texas, and Vermont as well as internationally in Finland and Sri Lanka with an upcoming summit in Germany. Young Voices for the Planet The mission of the Young Voices for the Planet film series is to to limit the magnitude of climate change and its impacts by empowering children and youth, through uplifting and inspiring success stories, to take an essential role in informing their communities — and society at large, challenging decision-makers, and catalyzing change. They document youth speaking out, creating solutions and leading the change. 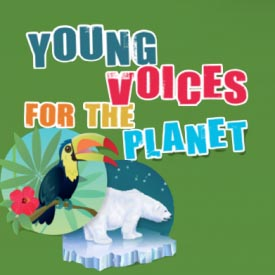 Because the Young Voices for the Planet films are unique in climate change education, outreach and activism, they have become useful tools to groups teaching about climate change, self-efficacy and youth empowerment including National Geographic and PBS Learning Media.